At Vspa we offered a wide range of Manicures and Pedicures to suit all budgets and needs. Starting from just £29 – contact the spa to find out more. Not an acrylic, not a hard gel, Gelish® PolyGel® combines the best of both in a revolutionary all-in-one system that’s undeniably better! Years in development and extensively salon tested; users agree that Gelish® PolyGel® delivers strong, flexible, feather light nails, that is odorless and with no airborne dust. 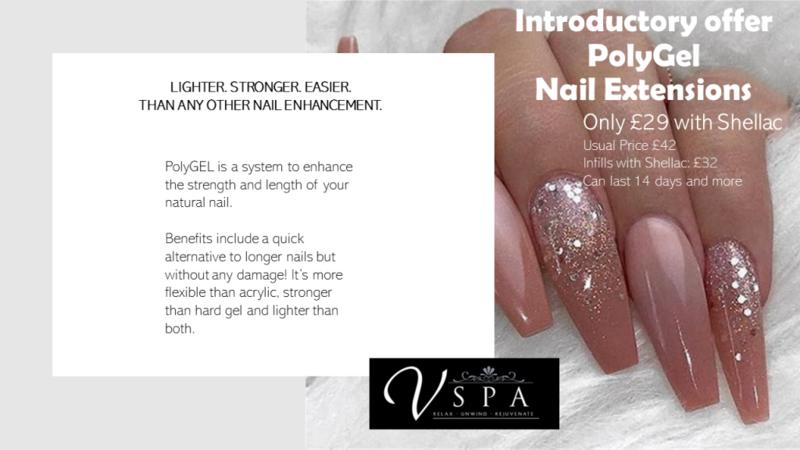 PolyGEL is a system to enhance the strength and length of your natural nail. Benefits include a quick alternative to longer nails but without any damage! It’s more flexible than acrylic, stronger than hard gel and lighter than both. 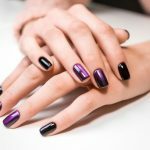 When arriving to your PolyGEL appointment nails need to be bare unless you are coming for an infill (upkeep) appointment. We do not work with acrylic products, so we cannot remove acrylic if you are making a transition from acrylics to Polygels (which we hope you are for the health of your nails) Please have them removed before you attend your appt with us. The appointment will start by prepping the nail a light buff and cuticle tidy. We will then discuss the perfect length and shape for you, once confirmed, tips are applied & filed into shape. PolyGEL is then smoothed & cured on your nails. Then you will have beautifully extended nails. We can apply a colour from here or just add a shiny top coat and leave them natural. Them some nourishing cuticle oil to finish off. You will be given the necessary aftercare advice to take away with you at your appointment. You won’t know you’re wearing enhancements. Give special attention to your lovely hands and be proud to show them off after your treatment. 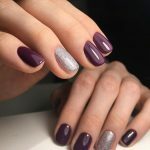 Includes a crystal hand soak, hand exfoliation, Hand and arm massage,detailed cuticle work, filing, buffing,preparation and application of CND Shellac. Add ibx to any shellac application or Manicure andPedicure. IBX Nail Strengthening First Treatment (This treatment must be booked with an express manicure or shellac application)IBX is a Natural Nail Growth Treatment that can be used on natural nails as well as under uv gel polish/ shellac. It creates a protective shield for the nail, It reduces white spots and is used to repair severe nail damage to set the stage for growth. IBX toughens the upper layers of the nail plate allowing nail growth. Having multiple treatments fills up deep grooves resulting in a smoother nail plate. The natural nail color and appearance is improved. You will notice the difference within 8 weeks. A zesty treat for the hands using refreshin and cooling lime, patchouli and lemongrass to leave your hands feeling young and fresh. Your hands will be bathed in our lovely patchouli,lime and lemongrass scrub and massaged to ease away any tension. Your cuticles will be pushed back and your nails will be filed and polished to perfection. With this treatment you can not only enjoy a superb manicure but also take comfort in knowing that only natural and organic ingredients will be going onto your skin. Performed whilst seated, enjoy a sample of the signature touches and delicate smells of the oils which result in a hydrating and indulgent manicure.Includes a hot mitt welcome, file,fresh lime, crystal soak, detailed cuticle work, hand exfoliation, Pinks Signature hand & arm massage. scalp are worked upon in our signature massage trail. To end the hands are always coated in our super hydrating spa cream, completing the journey with some green tea and leaving our spa with perfectly polished nails and stunning smooth hands and arms . Lay back and relax in our Pamper Suite, Enjoy a Himalayan crystal foot soak to awake and refresh tired feet. At the end of the journey you’ll feel totally relaxed with perfectly shiny toes. Refresh and revive tired feet with our Peppermint Martini Pedicure. Begin your Journey with a peppermint green tea. You will be escorted into our treatment suite where you will be laid on a comfortable couch with a relaxing eye pillow. Using Peppermint and Lime bathing salts, Peppermint salt scrub and peppermint oil to remove every trace of dry skin to ensure the feet are flip flop ready with beautiful polished toes. A pedicure like no other. Begin this journey on our welcoming massage couch where you’ll experience A full detailed pedicure of 100% natural products to nourish and soften tired feet. An eye pillow is placed over the eyes. Includes a hot foot ritual followed by a luxury foot soak whist you sample the special touches of the Signature Himalayan crystal soak. A Himalayan foot exfoliation and hard skin removal, detailed cuticle work, nail shaping, Hot Stones Leg and Foot massage, Head Massage and choice of varnish. You will be feeling truly pampered after this treatment. This treatment will include a relaxing foot soak in our 100% dead sea mineral salts to soften and sooth tired feet followed by Himalayan foot scrub to take away dead skin and leave your feet feeling totally rejuvenated. 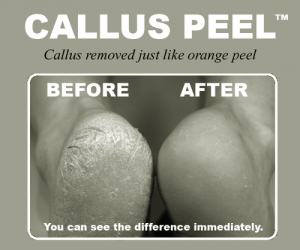 The treatment cannot be added with any pedicures. It is recommended to add with any holistic spa treatments. Ask reception for advice.